OTTAWA – Uber users will soon be coughing up a little bit extra for their rides, as the Canadian government slaps GST on all ride-sharing services. Uber and similar applications and services will soon fall under the scope of the Canadian GST system, according to an announcement made during the release of the latest national budget. Currently, Uber and similar ride-hailing services in Canada do not fall under the scope of GST, unlike traditional taxis services. According to the Finance Minister of Canada Bill Morneau, the move to apply GST to Uber rides already has precedent, as traditional taxis are taxed, meaning that the moves is “consistent with what Canadians expect”. He added that the change is part of the government’s efforts to make the tax system fairer, more consistent, and less complex. 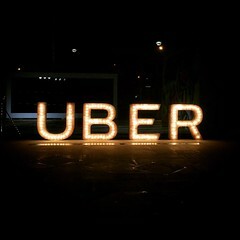 Commenting on the new announcement, a spokesperson for Uber already said that while the tax may impact drivers and passengers, the added tax still does not traditional taxis comparable in price to Uber, meaning that the services are not competing. However, the spokesperson added that the tax does reduce the economic difference between using the ride-service and car ownership, and added that the tax equates to a tax on innovation.